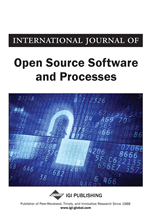 This article reports on an exploratory study of the causes and effects of conflict within the open source software project, Debian. Conflict arose when the project leader decided to introduce payment for select volunteers within an all-volunteer project to speed up the release of Debian. The study utilized the theoretical framework of Boltanski and Thévenot for understanding disputes. The results of the survey of Debian developers show that the conditions for conflict were complex and were driven by perception of misuse of authority, ideology, feeling of inequity, and satisfaction with pay for their regular job. The effects of the conflict were shown to be pervasive as it affected volunteer's citizenship behaviors and withdrawal from the project. Additionally, the conflict led some developers to reaffirm their beliefs about the value of paying volunteers. The conclusions of the study offer insight into the issues of incentivizing volunteer OSS developers. Open Source Software (OSS) projects often experience criticism for delays in software release schedules. Paying volunteers to work on OSS projects is one option that facilities adherence to project schedules. OSS foundations occasionally support OSS projects through compensation to key members. Despite perceived advantages, the topic of paying OSS volunteers remains neglected by OSS researchers. Research on the compensation of volunteers in areas outside of OSS is limited but notable. Fiorillo (2011) summarizes this small body of work by considering the extrinsic and intrinsic motivations of volunteers. Fiorillo explains that extrinsically motivated volunteers are likely to respond positively to pay, but that researchers debate the occurrence of unintended negative effects such as “crowding out” intrinsically motivated volunteers. Monetary rewards may “crowd out” intrinsic motivation when the volunteer perceives them as an instrument of control over self-determination, or the reward implies that the volunteer’s contribution is not appreciated. However, the issue is far from being settled as Fiorillo’s study of Italian volunteers found no evidence of the “crowding out” phenomenon. It has been shown that OSS volunteers display intrinsic (e.g., altruism) and extrinsic (e.g., increase human capital) motivations (Wu, Gerlach, & Young, 2007). Motivational theory suggests that intrinsically motivated volunteers may not respond positively to extrinsic rewards. It is also plausible that attitudes toward payment may be exacerbated by the motivational force of OSS ideology that stresses altruistic voluntary cooperation (Stewart & Gosain, 2006). The demographics of the volunteer base of OSS projects may confound the motivational effects of compensation when members include widely divergent types ranging from “broke student” to accomplished information technology professional. The literature on compensation for volunteers does not consider the effects of pay on the motivation of equivalent volunteers who do not receive it. This issue typically occurs in OSS projects where corporate sponsored members work with volunteers. There is case study evidence that the incorporation of corporate sponsored developers within the OSS community imposes additional costs on OSS project leadership efforts to control and resolve conflicts over joint governance and collaboration (Jensen & Scacchi, 2005). Democratic control is a hallmark of many OSS projects. There is concern that financial involvement/rewards may be used to exert control over the OSS project. Hence, extending payment to volunteers may further complicate OSS project governance. The conflict that arose over the decision to initiate payments to critical personnel in the all-volunteer OSS Debian project provided a unique opportunity to examine the motivational implications of paying volunteers “for moments of crisis and judgment are occasions in which actors exhibit their action and unfold it verbally” (Boltanski & Thévenot, 2006, p. 356). This unique situation is the subject of this study. In 2006, Debian developers experienced conflict regarding the Debian Project Leader’s (DPL’s) decision to pay two Debian release managers for one month each to accelerate the release of the next version of Debian GNU/Linux (codenamed Etch1). Although DPL’s decision to pay two essential Debian developers was thought by the DPL to be both simple and practical, it led to major disruptions in the Debian project (Broersma, 2006). Intense arguments over the decision quickly led to votes to recall the DPL and deprecate Dunc-Tank, a separate external fund-raising program (Dunc-Tank, 2006). The DPL and other Debian members started Dunc-Tank with the intent of raising funds to pay the release managers. Although the vote failed to denounce the Dunc-Tank experiment or recall the DPL, it reflected the significance and intensity of the emotions surrounding the decision to pay Debian release managers. The turmoil led some who are knowledgeable of open source to express concerns about the future of the Debian project at that time (Kreussel & Loschwitz, 2007).